The office of Adult Degree & Continuing Studies at Saint Francis University values and honors your prior experience and credits. We know that a major concern for transfer students is if and how their previous coursework is going to transfer. 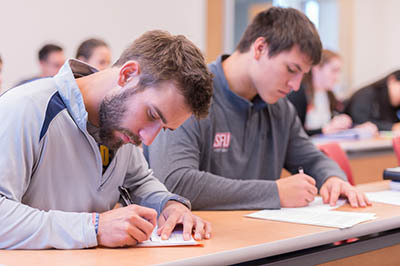 Ease your mind in knowing that Saint Francis University’s ADCS program has a generous credit transfer policy. Your prior special training, whether through the military, a vocational program or other education, plus CLEP exams, etc. are all ways to receive credit and accelerate your degree and goals! See the details below on requesting a free credit evaluation. Our generous credit transfer policy maximizes your other college courses with up to 64 credits transferring into our BS in accounting and management degrees and up to 98 credits potentially transferring into our degree completion programs. 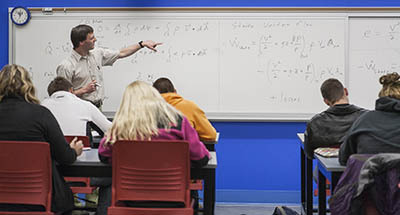 The associate of applied science degrees transfer in at least 27 credits from the career and technology centers for both adult and high school programs. For a free transfer credit evaluation, have your transcripts emailed, faxed or sent to one of our counselors who will gladly let you know how many credits could potentially transfer into the degree of your choice. Have more than 4 transcripts? No worries. We will review all of your transcripts to help you transfer in the most that you can! Military credits will be considered for transfer credit. Our advisors will work with you to maximize your military transfer experience. Learn more about the Office of Military Affairs at SFU. ADCS has invested time into building agreements with regional schools so that students attending postsecondary schools can transfer in credits into one of our Certificate, Associate, or Bachelor Degree programs. Two criteria guide the process of transferring credits from another postsecondary school. Classes taken in high school for college credit can be applied toward ADCS Certificate, Associate, and Bachelor degree programs. Training completed for certifications (for example-CEUs), workplace requirements, or other specialized training will be considered for credit transfer. Request your free transfer credit evaluation.